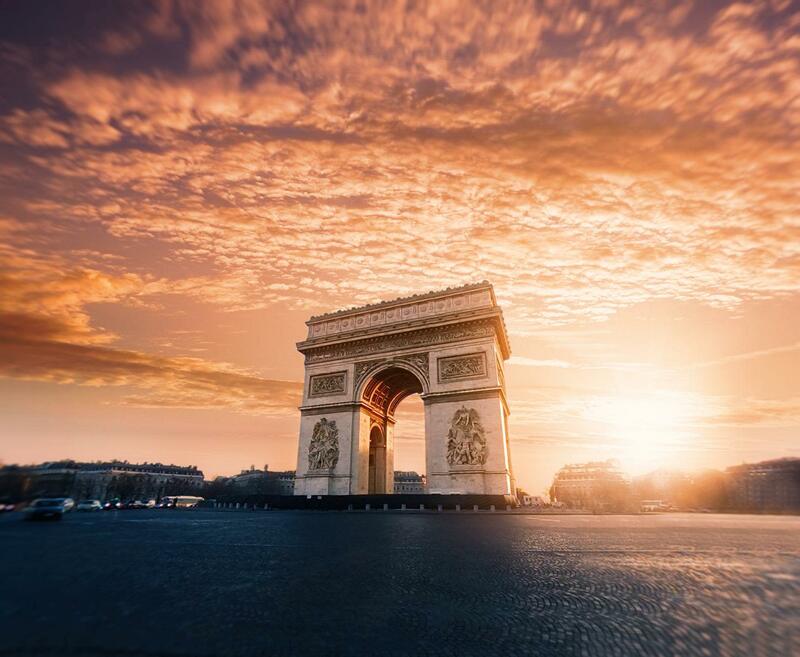 France is the most visited country in the world by international travellers, and Australians are far from immune to its charms. 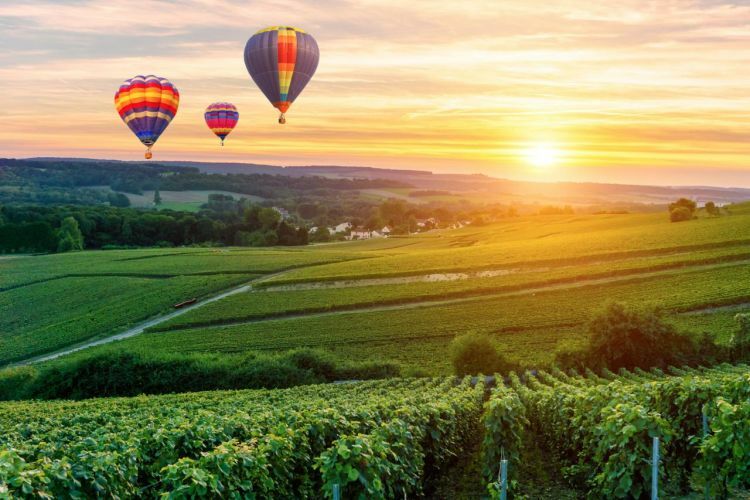 Each year, one million Australians make the 24+ hour journey to France, lured by the glamour and beaches of the Côte d’Azur, the romance and history of buzzing Paris and the lavender-blanketed landscape of Provence. But there is also an entirely different style of tourism that’s been attracting visitors to France for decades – memorial tourism. 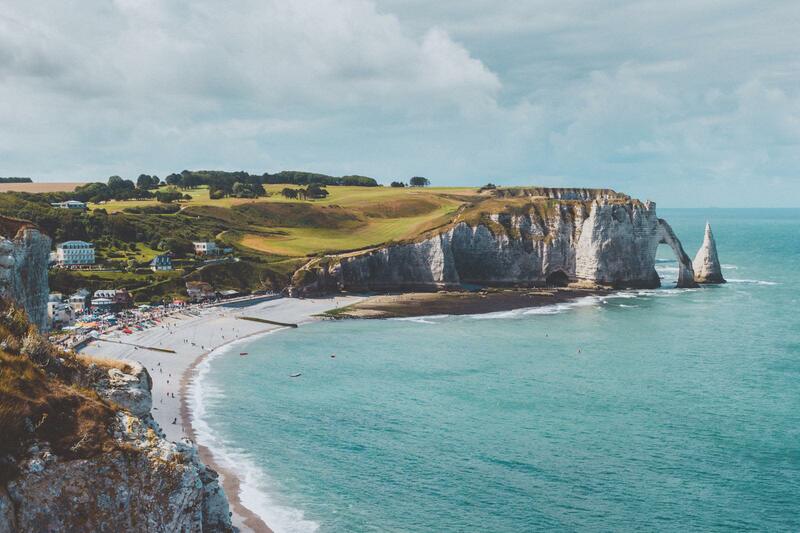 Each year there are 6.2 million visits to France’s historical sites of the First and Second World War. In just a few days, on November 11 2018, it will mark 100 years since the guns on the Western Front fell silent after more than four years of continuous warfare. It will also conclude four years of First World War centenary commemorations. More than 1,000 events have taken place along the Western Front in Northern France and around the world since 2014, and with the anniversary of the Armistice around the corner, there has never been a more poignant time to bear witness to the historic events of WWI as a visitor to La Belle France. Approximately 400,000 Australian soldiers fought in France in World War 1, and almost 60,000 of them never came home. 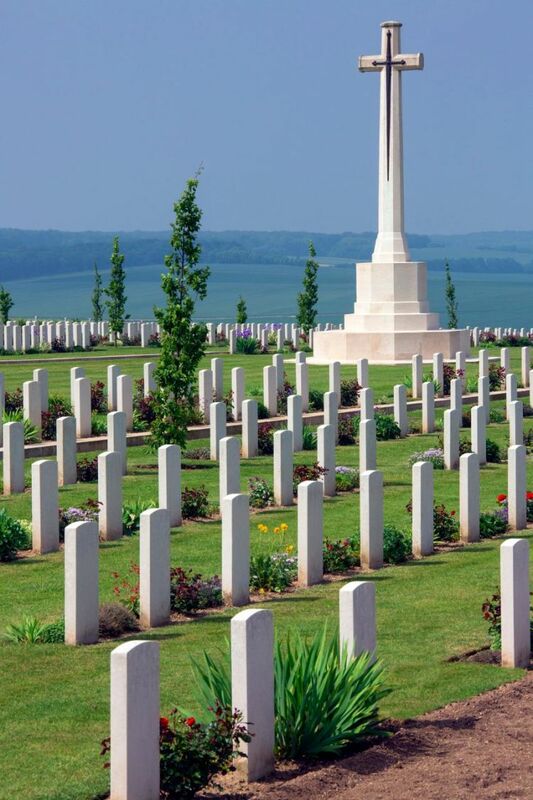 A staggering 46,000 of those who lost their lives died on the Western Front. 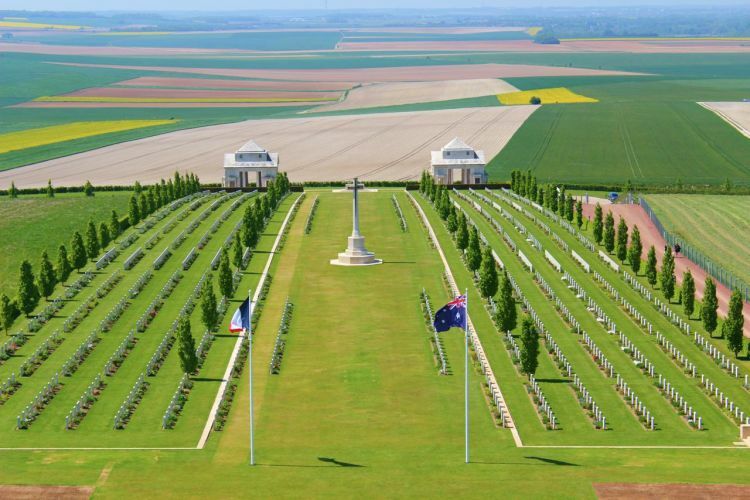 Today, tour battle sites such as Bullecourt, Pozieres, Villers-Bretonneux, Fromelles and Somme have all been lovingly restored as part of the centenary celebrations, and moving commemorative trails snake along the Western Front, allowing Australians to follow in the footsteps of their ancestors and visit the most significant places they fought between 1916 and 1918. In early 1916, the Australian divisions joined the British army in France and Belgium, and in July fought in the Battle of the Somme, at Fromelles and at Pozières. They were victorious in the taking of Pozières, but not before losing almost 23,000 men over the course of just 45 days. 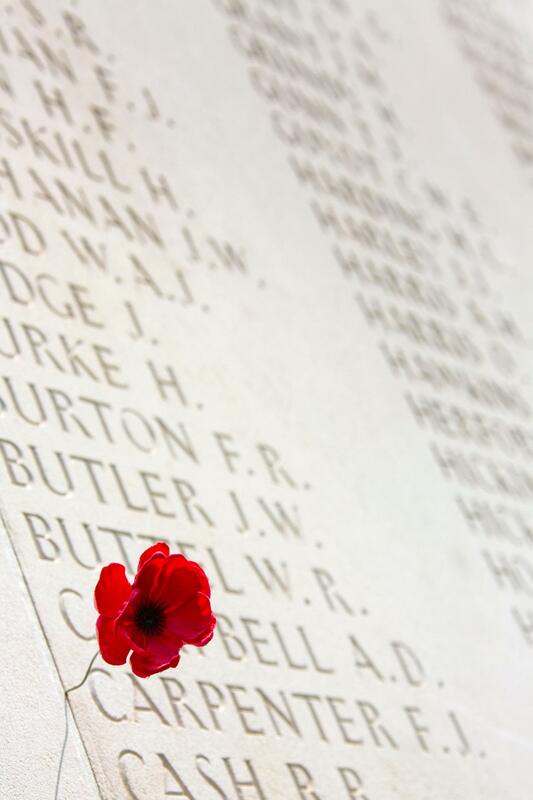 Well-known attacks such as the recapture of Villers-Bretonneux and the Battle of Hamel showed the enduring courage and determination of the Australians, and the Somme has since become synonymous with the Australian sacrifices of World War 1. 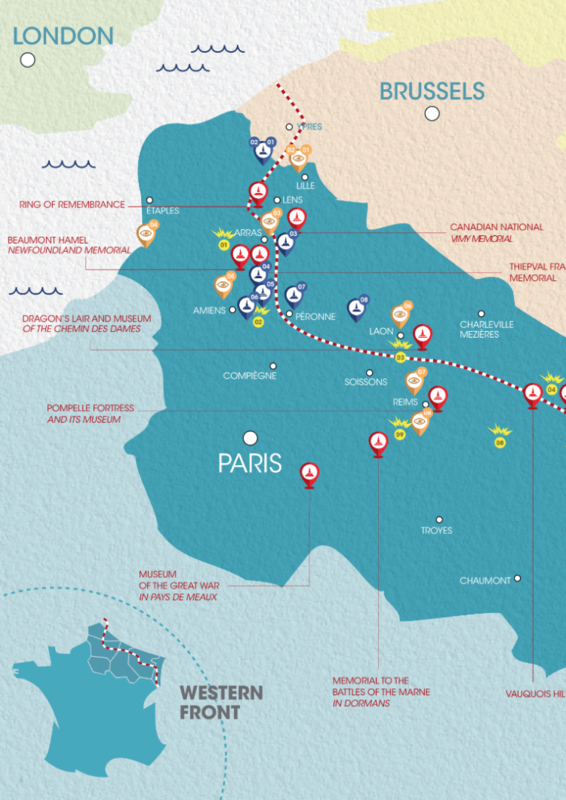 Today, this pretty region that is peppered with quiet towns, villages and fields, has brand-new museums and remembrance sites dedicated to the Australians’ victories at Le Hamel, Pozières, Mont-Saint-Quentin, and Villers-Bretonneux that are must-visits on a remembrance tour of France. 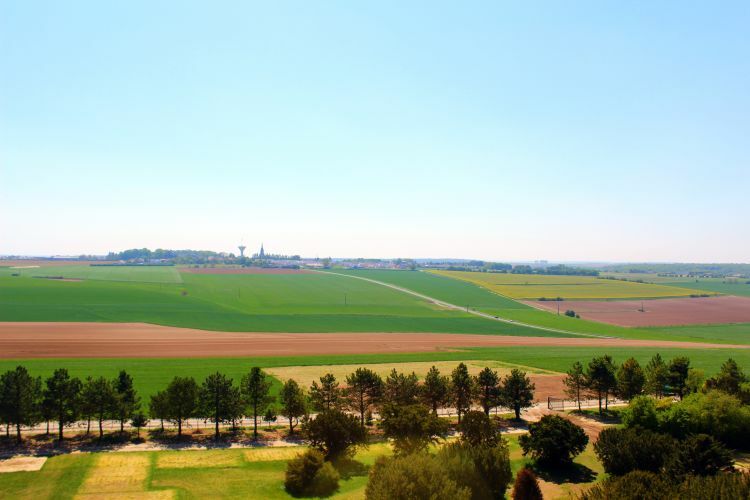 The 100-metre-high mountain Mont St Quentin overlooks the Somme River and the town of Péronne, and was used as an observation point and vital strategic area in World War 1. 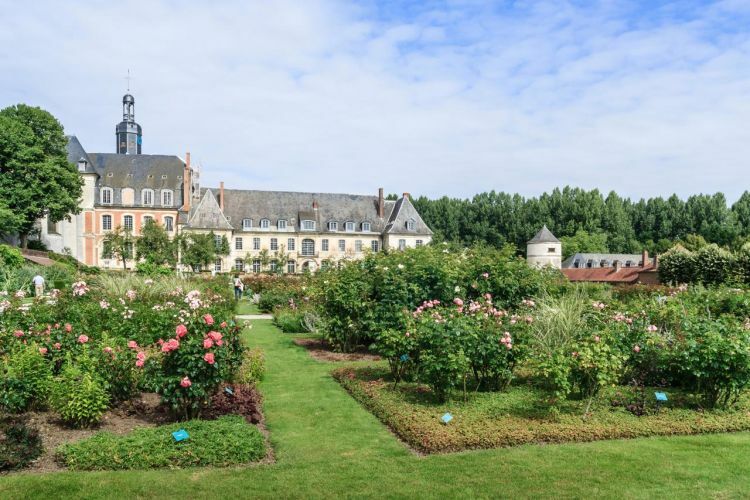 In Péronne make sure you see the ramparts and visit the chateau, where the Museum of the Great War is located. The Mont Saint-Quentin Australian War Memorial showcases life before, during and after the war, as lived by the French, the British and the Germans. Sixty video consoles explain the displays with the help of archive films, and you’ll discover artefacts like the German banjo made from a French helmet and a French mandolin made with a German gas-container, as well as street-signs with names like "Dingbat Alley”. Just outside Péronne you’ll find Avenue des Australiens, dedicated to the memory of the 2nd Australian Division. Plaques show Australian soldiers attacking in the trenches and diggers in shorts trying to drag a cannon through the mud. It is surmounted by a statue of an Australian soldier patiently and pacifically standing guard. On 25 April 2018, Australian soldiers secured the French town of Villers-Bretonneux in a victorious feat of war, marking the end of the German offensive on the Somme. A tragic 1200 Australians died saving the village, and to this day the French have never forgotten it. In the centre of the village you’ll find a main street called Rue de Melbourne, and a school called Victoria, which was rebuilt after the war using donations by school children in Victoria. Inside, emblazoned above the blackboard of every classroom is a moving sign that reads: "N’Oublions Jamais l’Australie" - "Let Us Never Forget Australia". In the school hall, carvings of kangaroos, koalas and platypuses decorate the walls. The Australian flag still flies over Villers-Bretonneux today. 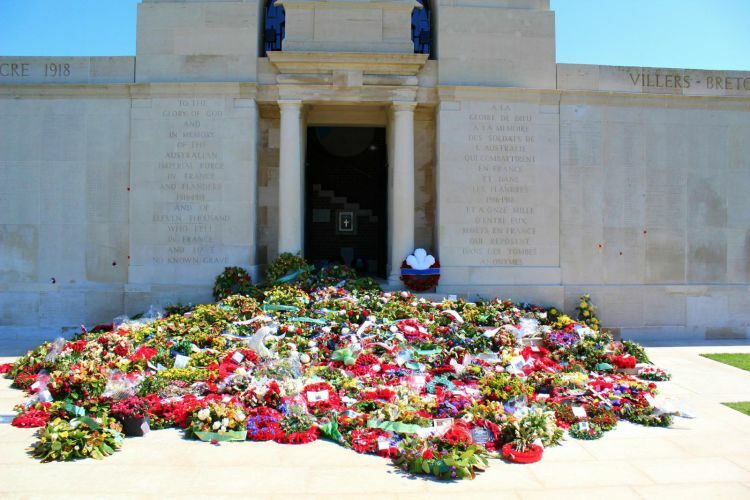 Located just outside of the town of Villers-Bretonneux you’ll find the Australian National Memorial of World War I, inaugurated in 1938, and an ANZAC Day Dawn Service takes place here on April 25 each year. The Australian Remembrance Trail highlights the places where Australian soldiers fought and died. On the sacred grounds of the Villers-Bretonneux Military Cemetery behind the Australian National Memorial is the new Sir John Monash Centre, which just opened its doors on Anzac Day this year and is now one of the key sites of the Australian Remembrance Trail. This cutting-edge multimedia centre tells Australia’s story of life on the Western Front in the words of those who served, with interactive and high-tech displays. 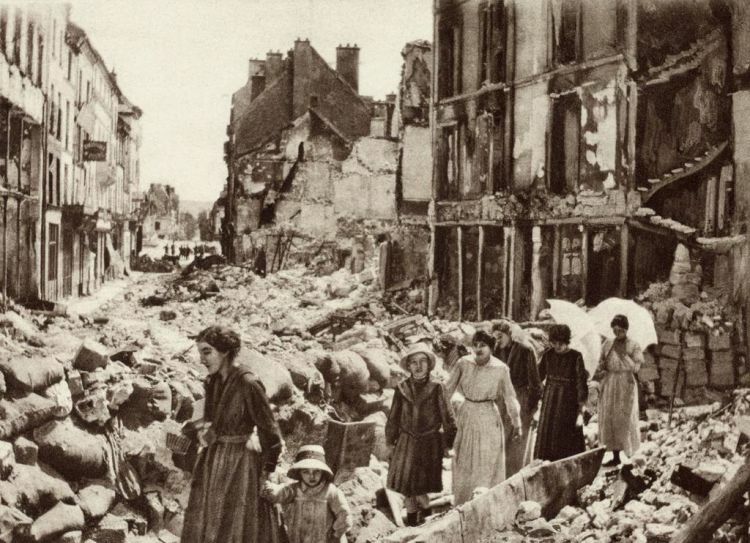 The small town of Vignacourt – located just north of the picturesque town of Amiens and behind the lines – was used for French and Allied logistics and became a refuge for Australian soldiers. The newly opened Vignacourt 14-18 Centre is a renovated farmhouse featuring a fascinating photographic collection of the many soldiers who passed through the village. The photos were taken by building’s former inhabitants, Antoinette and Louis Thuillier, who captured these moments in history. A mere ten minute drive from Vignacourt is the Underground City of Naours, one of the largest networks of subterranean tunnels in Northern France. 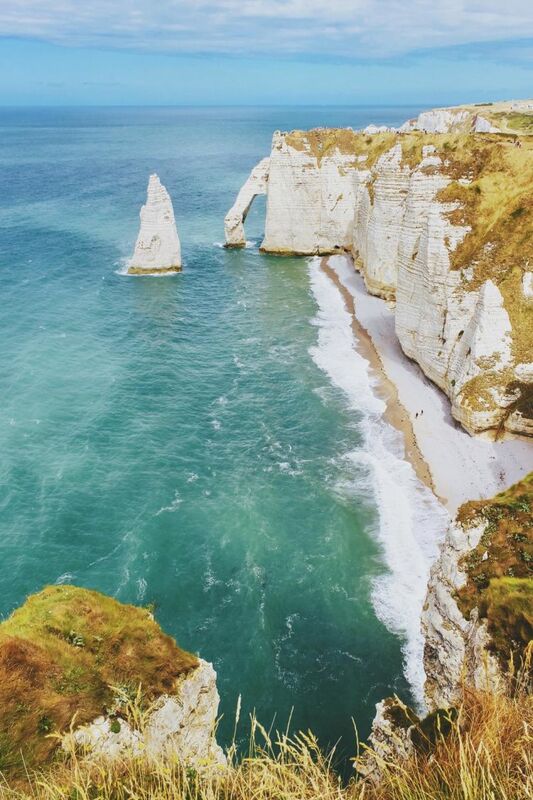 Dug into the limestone of the Picardy plateau, the tunnels were initially quarries that were used to shelter local inhabitants as far back as the 17th century. In the First World War Naours was used as an organised tour destination as a means of distraction for soldiers on leave or convalescent behind the front lines. The first Australian soldiers to arrive in France visited here as tourists in July 1916. Home to around 3000 examples of graffiti drawn by First World War soldiers, 1800 of these believed to have been by Australians, it is the largest concentration of WW1 inscriptions on the Western Front. In the second half of 2019, a brand-new Graffiti Museum in Naours will open, dedicated to displaying the stories of the soldiers who visited the caves and the leisure activities they engaged in behind the lines. – "Let Us Never Forget Australia"
Aisne was the site of The Battle of the Aisne, which consisted of three battles fought along the Aisne River in northern France in 1914, 1917 and 1918. Australian military was involved between March and June 1918 between the Aisne and Somme rivers, advancing towards Morlancourt. 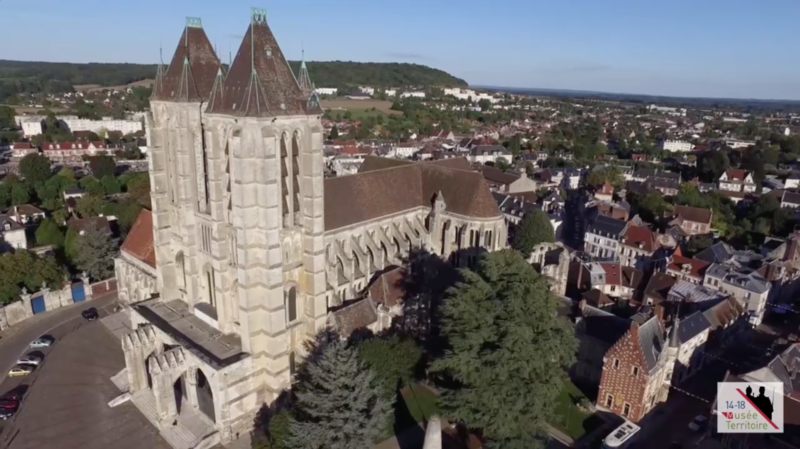 Aisne&apos;s historical roots go back to 18th century, when it was considered the heart of the first kingdom of France. 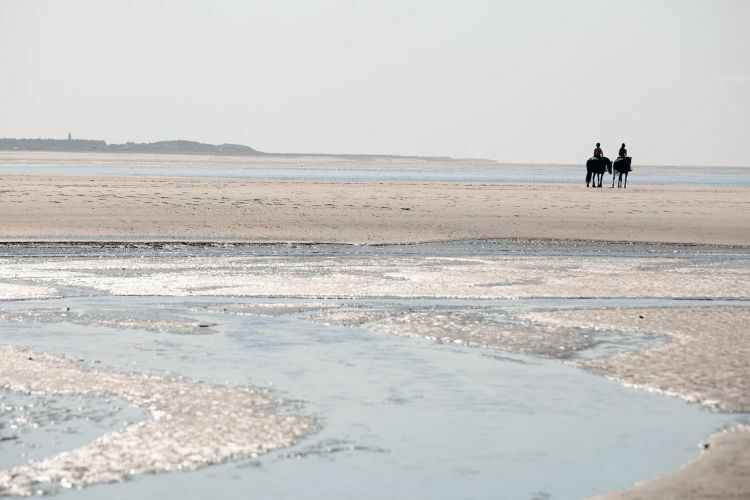 Today, in addition to its fascinating military history, it is a beautiful region those vulnerable to photogenic landscapes won’t want to miss. 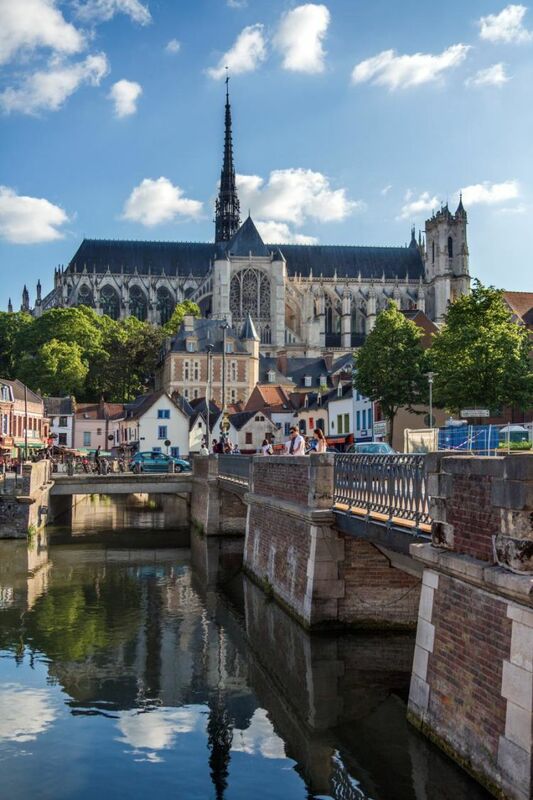 With Paris to the south, Belgium to the north and the wide plains of Picardy and Champagne to the west and east, the Aisne is a spectacular and diverse area of lush, green countryside. 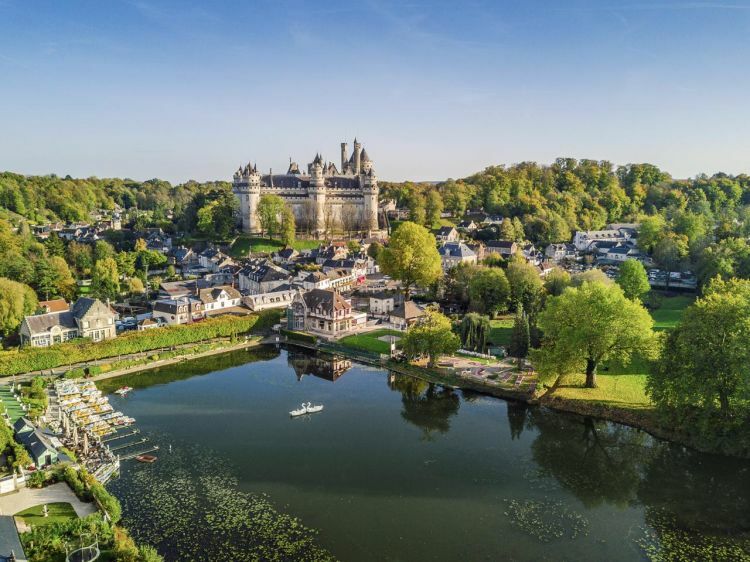 Its rolling hills, valleys and plateaus are interrupted by quiet, meandering rivers, pretty towns and cities and architectural treasures that reveal the region’s rich history. 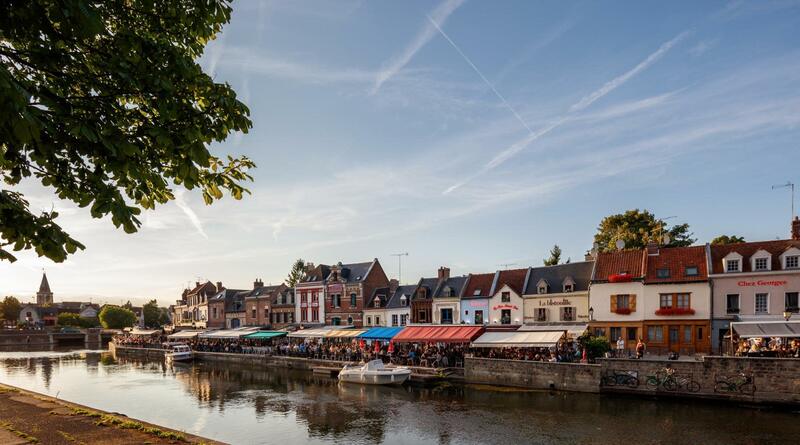 Aisne’s five smaller districts or terroirs are full of examples of the old way of life and traditional craftsmanship. 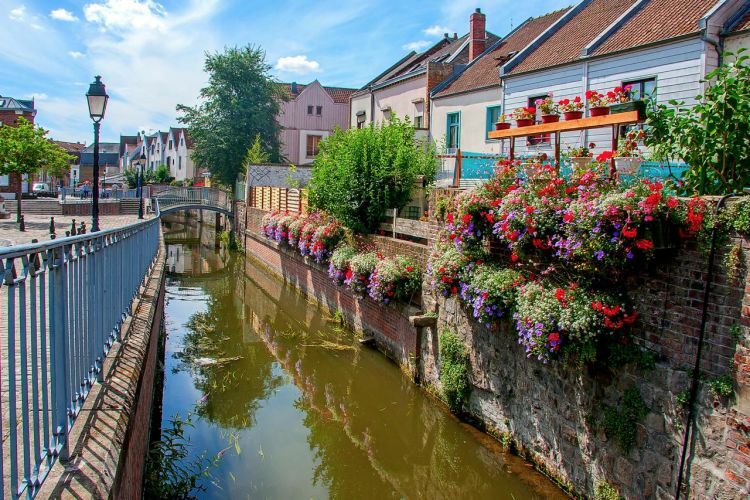 Go on a taste trail and sample champagne and cider, beans and strong maroilles cheese, or explore its clear canal waters, museums, gardens and village homes. It’s hard to imagine with the picture-perfect landscape found there today, but the Chemin des Dames was the scene of major battles in 1914, 1917 and 1918. Below the front, this quarry was transformed into an underground barracks during the war, its many tunnels marked by the presence of soldiers. 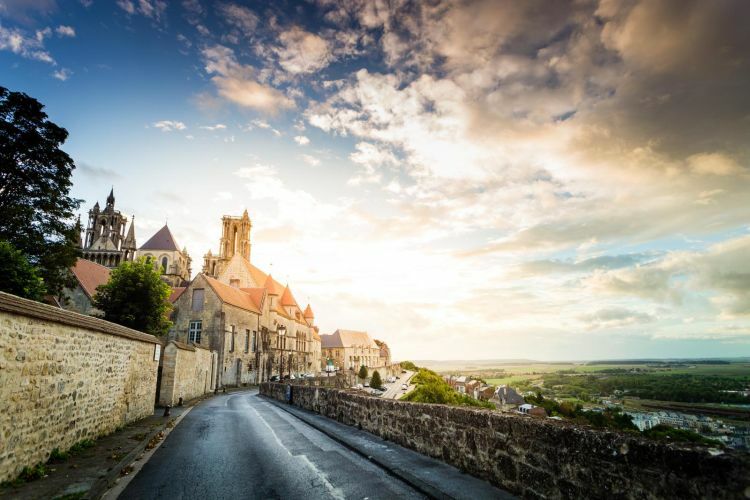 Start your memorial tour of the region at the Caverne du Dragon Museum to catch a glimpse of the chapel, first-aid stations, command posts and no man’s land, and learn about the events that unfolded during WWI. 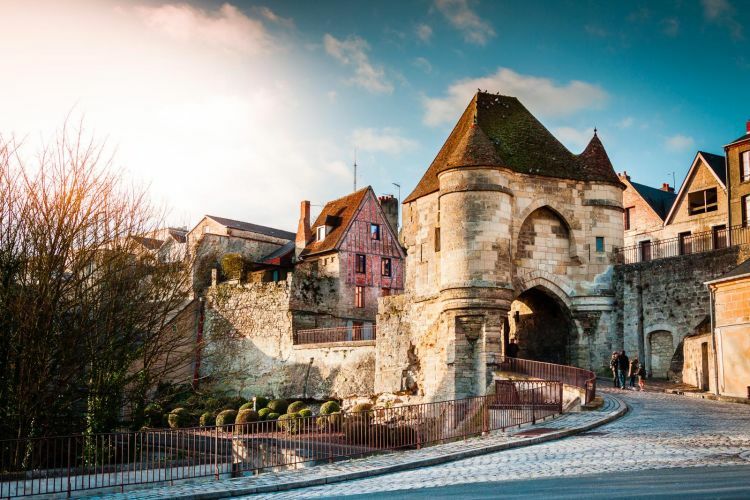 This museum is dedicated to the Franco-American friendship, and recently reopened after over ten years of closure following the discovery of archaeological remains. 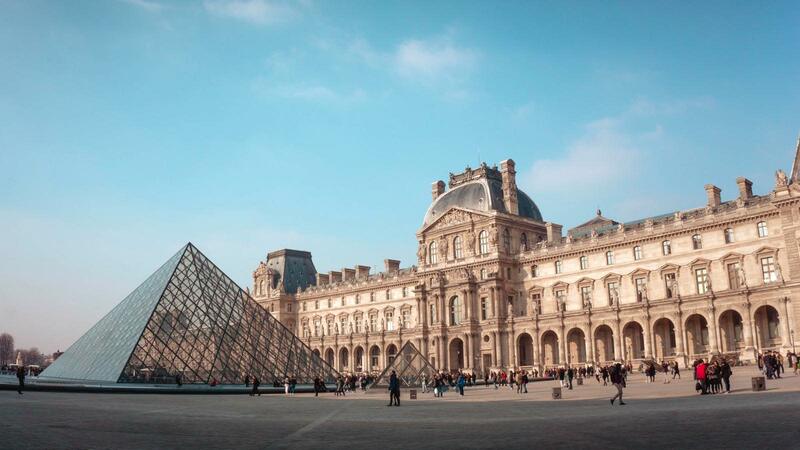 Visitors can discover the historical and cultural relations between France and the United States of America, with three distinct areas in the museum covering "Ideals", "Events" and "Arts". In 1929 the United States Government built this monumental portico with two rows of fluted pillars, inspired by ancient architecture. It reveals the names of the various battles in which the Americans were engaged in 1918, particularly in the Aisne, and commemorates the first efforts of the US Army in France. 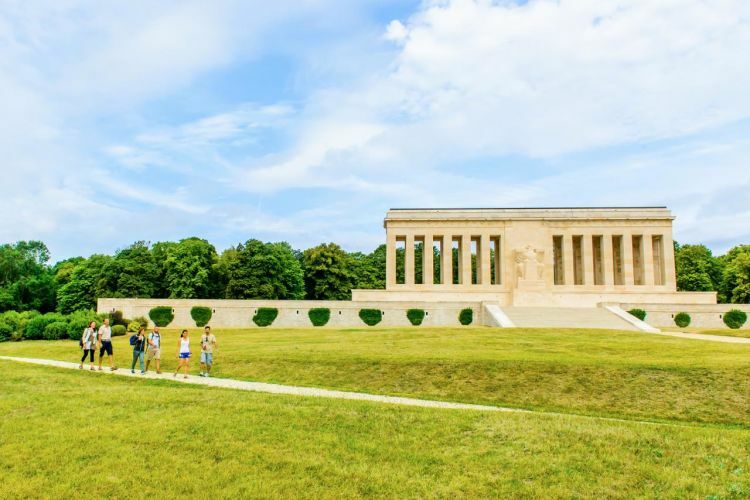 A 200m² museum opened in May this year in the Hill 204 Memorial, and you can relive the 2nd Battle of the Marne here through an immersive visit using film, exhibitions and displays. The ruins of Chateau-Thierry in Aisne, France, a centre of fighting in June-July 1918. 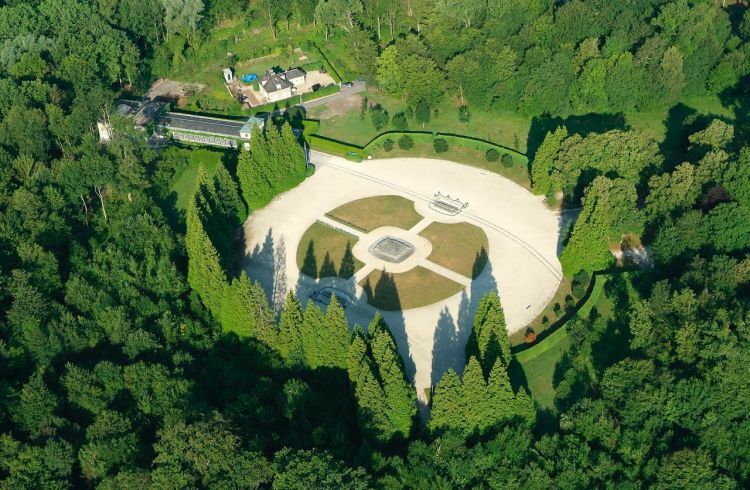 The natural place to conclude a remembrance trial of WWI is Compiègne in Oise, where the Armistice was signed on 11 November 1918. The area was the first department to be liberated by the French, and it subsequently became a symbol of victory and peace. 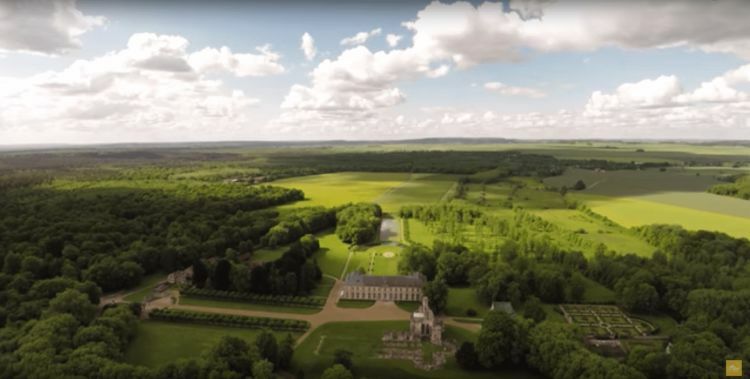 Just 60km north of Paris, the Oise region is scattered with memorial sites and monuments, military cemeteries and battleﬁelds from not only WWI but also WWII, when the region that formerly symbolised peace was once again occupied by German forces. Explore museums, the stone quarries, the cemeteries, the warpath discovery trails, the ruins and other vestiges in the lush and vast country surrounds of Oise. 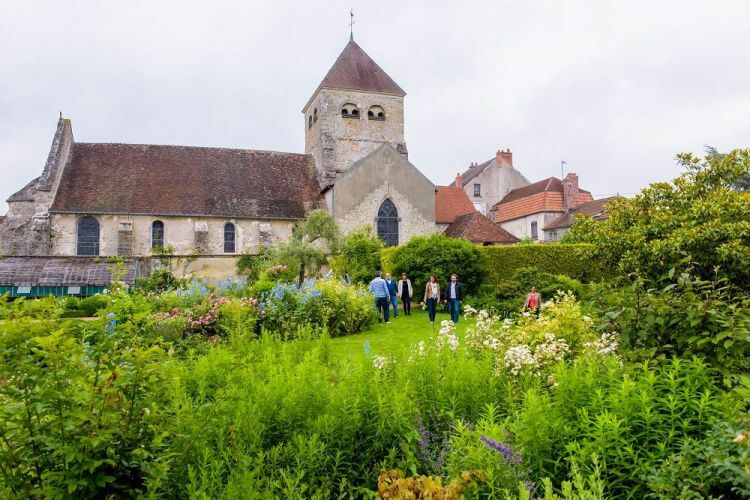 This church’s bells first rang in the Armistice (until they cracked), and since 2014 has housed the Discovery Area, a gateway to the Musée Territoire 14-18. This open-air museum, spanning over 60 kilometres, is dedicated to the so called “Red Line”, the old front line of Oise. It offers visitors an introduction to and overview of the First World War, then invites them to continue their exploration of up 24 memorial sites across the area. Learn about the life of WWI soldiers, key events and nearly forgotten anecdotes on hiking trails, guided tours, exhibitions and other museums. 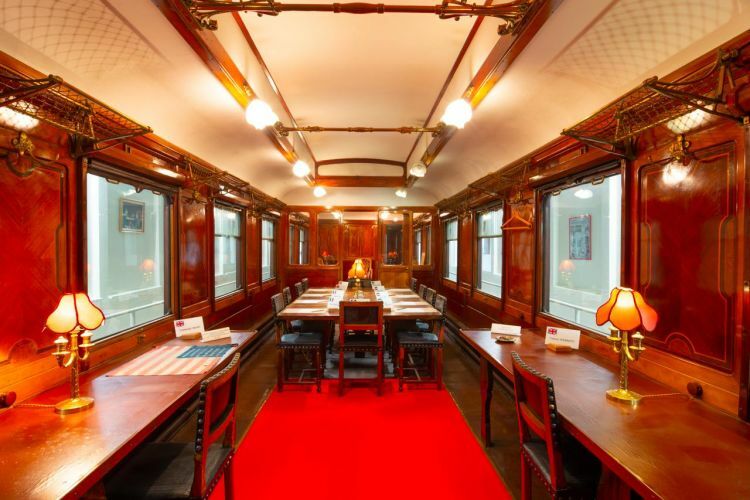 In the heart of the Compiègne Forest is the Rethondes Clearing, where, inside a modest railway carriage, the Great War came to an official end after four years of horrifying conflict. There, at 2:15am on 11 November 1918, the Marshal received the Germans, who agreed to sign the armistice at 5:15am. The accord would come into effect on “the 11th day of the 11th month at exactly 11 o’clock”. While the original Armistice Carriage was destroyed by Hitler following the vengeful armistice of 1940, its duplicate reveals everything regarding this historical moment, including where all the different figures were positioned at the time of signing. 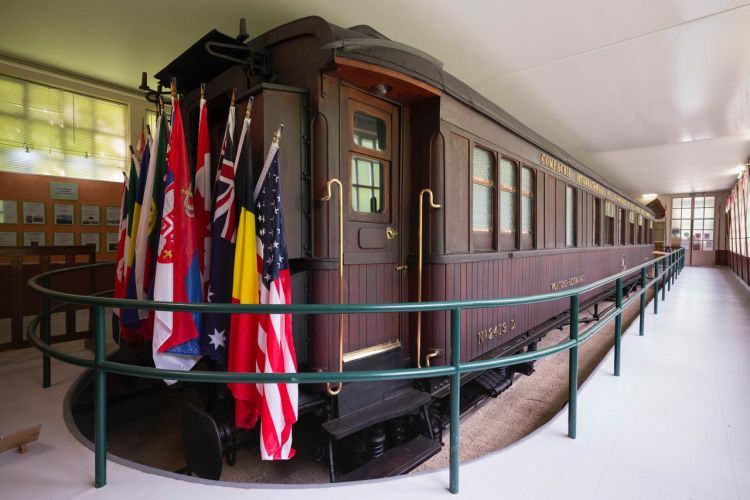 It boasts a redesigned staging immersing visitors in an early-morning atmosphere, as on the dawn of the armistice signing; a 3D screening room for an immersive and moving testimonial; and an exhibition room dedicated to the famous French aviator Georges Guynemer. Next to the carriage, the Armistice Memorial Museum is home to nearly 800 black-and-white stereoscopic photographs, striking testimonials to the lives of the soldiers, the mobilisation effort, and the victorious Battle of Verdun. Facing the carriage is a monumental sculpture by artist Clara Halter, commissioned by the city of Compiègne to commemorate the First World War centenary. This 1.5-tonne patinated bronze symbolic ring is engraved with 52 gilded translations of the word &apos;Peace&apos;, and is a perfect circle, 3.5 metres in diameter. "Here, on 11 November 1918, the criminal pride of the German empire was VANQUISHED by the free peoples it had sought to enslave." Beautiful Oise. Video courtesy of Oise Tourisme. Located behind the front line, the Compiègne Palace was transformed into a 340-bed hospital in the autumn of 1914 and was used to house wounded soldiers up until the spring of 1917. The imperial residence then housed the Supreme Headquarters of the French army up until June 1918. 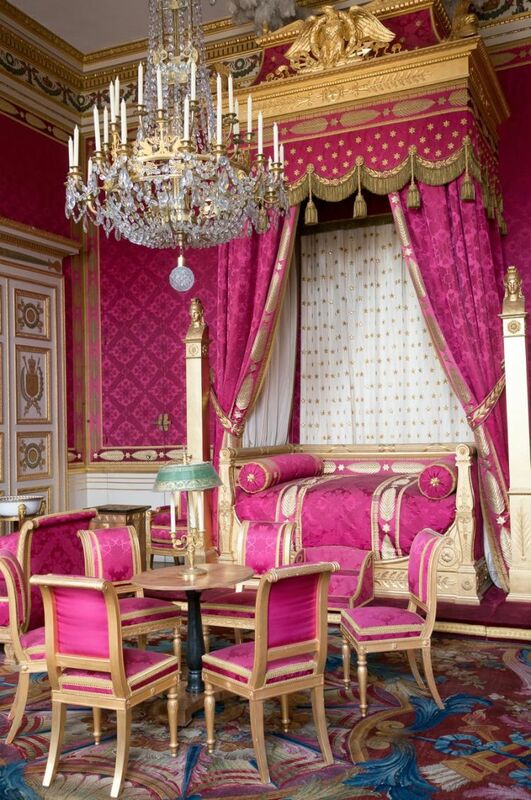 Transformed and extended under Louis XV, then renovated by Napoleon I following the French Revolution, the Imperial Palace of Compiègne enjoyed its greatest glory under Napoleon III, where it hosted Europe’s most famous figures. 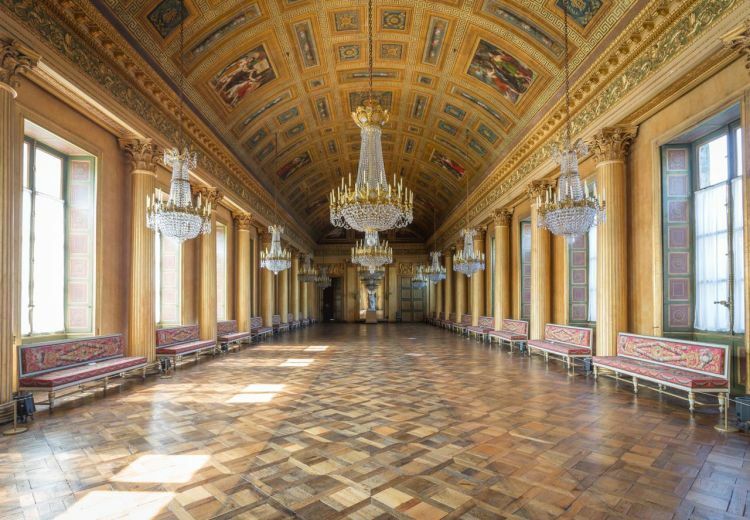 Today, guests to the palace can discover the private lives of past sovereigns of the First and Second Empire by touring the château&apos;s imperial apartments once inhabited by the Emperor, the Empress, and the King of Rome. 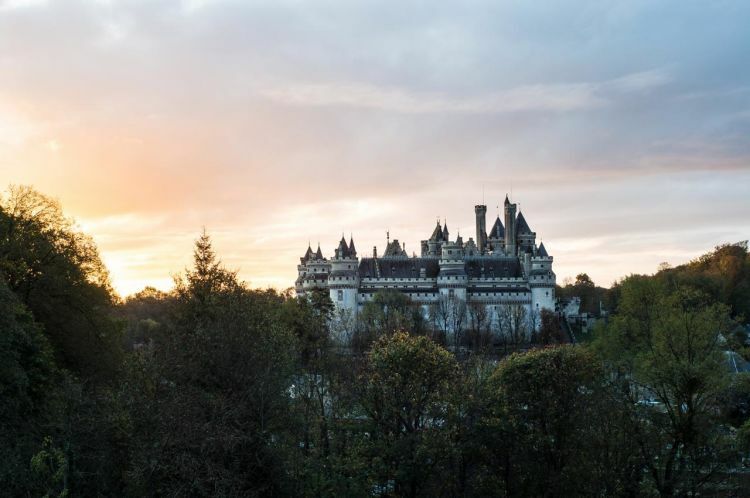 On the edge of the Compiègne Forest proudly stands the famous medieval fortress that is Pierrefonds Castle. 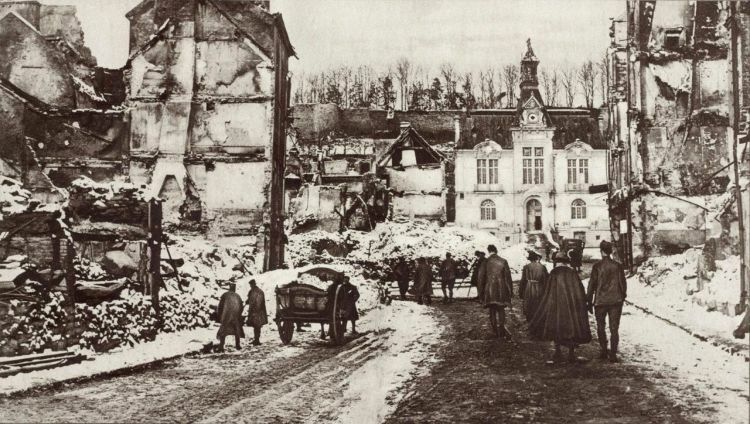 When the First World War broke out, the castle was immediately occupied by the German army, who were pushed out less than a month later, in September 1914. A 30-month period of trench warfare then ensued, during which Pierrefonds served as a strategic military support centre for allied soldiers. The fortress sheltered up to 1,500 soldiers at any given time, on leave or waiting to be sent up to the front. During their billeting, the soldiers left abundant graffiti on the castle walls, testifying to their stay and their day-to-day lives during the war. While today most of these vestiges are in closed-off areas, some of the soldiers&apos; graffiti can still be seen during the château tour, mainly on the first floor of the guest wing. Before its iteration during WWI, the castle was left in ruins for two centuries until 1810, when Napoleon I bought it for less than 3,000 francs. 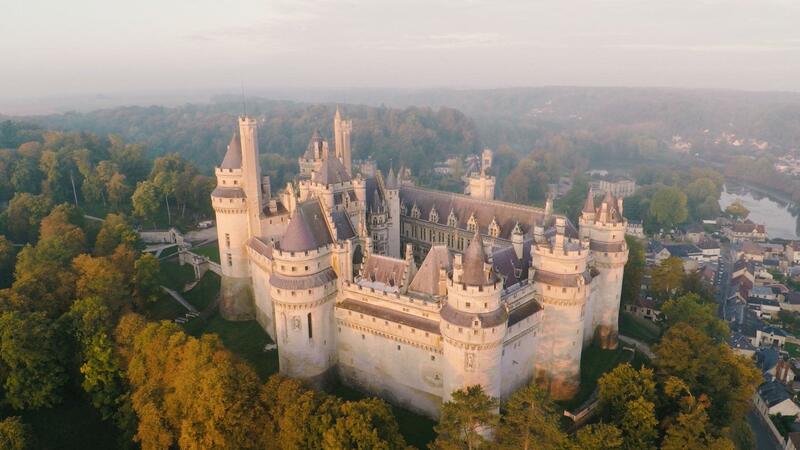 In 1857, under the direction of Emperor Louis-Napoléon Bonaparte (Napoleon III of France) Pierrefonds Castle was restored and redesigned by Viollet-le-Duc as a melting pot of fantastical and flamboyant architectural styles, rather than a strict historical reproduction.